High quality polyurethane synthetic leather which is know for its soft touch and durability match after match. Hand-stitched 32 panels are binded with2 Polyester/ 2 Cotton inner layers. High quality floating latex bladder has a guarantee for one year. 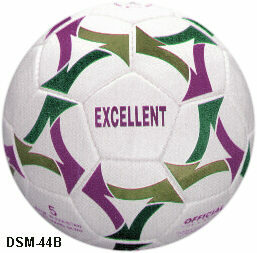 We are manufacturers of soccer balls from Pakistan. 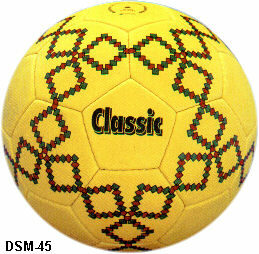 Please have a look on our website We can supply you the soccer balls at reasonable prices. If you have any enquiry then please let me know and we will send you the detail.